About - Tom Black Center for Excellence, inc.
Tom's story…it is the classic "rags to riches" tale, a narrative that symbolizes the American Dream – one that brings truth to the cliché that what you can dream you can achieve. Tom was born in the small town of Nickerson, Kansas, and for the first few years of his life, he lived with his family in a railroad boxcar – a boxcar. His mother tried with what little they had to make it seem like something else, but it was undeniably a boxcar. Neither of his parents finished high school, and the family struggled for necessities. The Black family moved into an old two-bedroom house where Tom shared a room with his sister. The house had one tiny bathroom and one gas stove for heat. Tom never realized he was one of the poor kids until one day in 7th grade when some of his classmates were making fun of his clothes. From that moment on, he realized one thing – he never wanted to be poor again; he never wanted to wonder if he'd ever have new clothes to wear; he wanted to taste what "significant" was. He wanted a better life. Tom was the first in his family to attend college. On a day he will never forget, a man who would change the course of his life forever approached him. This man was a recruiter for the Southwestern Company out of Nashville, Tennessee. He had no idea at that moment what he’d stumbled upon. The Southwestern Company recruits thousands of college students each summer to sell books door-to-door, to make money, and to change their lives and attitudes toward hard work. Do not be mistaken here; there is nothing glamorous about it – it's cold calling in a strange place far away from home; it's strangers, sweat, rain, 80+ hour workweeks, rejection, discouragement, attack dogs, homesickness. Tom left college for the summer with fifty dollars in his pocket and went to Nashville to learn how to sell on a straight commission basis while paying his own expenses. He broke several sales records and continued to outdo his personal bests every summer for five summers as a salesperson, and he was then asked to work full-time as a sales manager for the company. His teams went on to shatter company team records because of his teaching and coaching. This small town Kansas kid built a legacy for himself there – his techniques are still taught at The Southwestern Company today, more than thirty years later. During five summers on the bookfield, he'd heard more "no's" than most people hear their entire lives. He’d also heard more "yes's" than most salespeople will hear in their careers. His summers were full of sweat, toil, more sweat – and ultimately, incredible success. Click here to order The Boxcar Millionaire, Tom Black's Proven System of Sales Success. He was recruited to join Madison Financial, a corporation specializing in retail marketing strategies designed for banks. CUC International soon thereafter absorbed Madison Financial. CUC then acquired Benefit Consultants, and Tom spearheaded the growth of the sales division and did what no one in the company thought was possible - under his leadership, sales skyrocketed from $1 million to over $350 million in a matter of a few years. This was the start of a new direction in his journey; he became an innovative leader in the banking industry. He then started Private Business, Inc., a company that pioneered accounts receivable lending for banks. 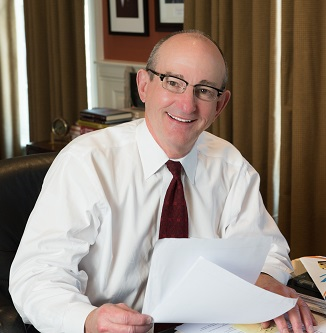 Under his six-year leadership as CEO, Private Business, Inc. grew into the country’s leading provider of accounts receivable programs for community banks and their commercial customers. He grew the sales force from non-existent to over a hundred salespeople. The company went public in May 1999. In January 1999, he and a partner purchased Bancsource and formed Imagic Corporation as a sister company. Bancsource sells mission-critical equipment and ATMs and provides hardware maintenance to banks nationwide. He created Imagic Corporation to develop check-imaging systems. As CEO of both Bancsource and Imagic, he dramatically expanded both companies from small regional providers to national sales and service organizations. Under his leadership, Bancsource went from an insignificant regional company to a national company serving 4,000 banks in 49 states. Tom achieved this by doing what he’d come to do best – producing world-class salespeople through a proven sales success system. In December 2001, Imagic Corporation merged with Open Solutions, Inc. Open Solutions then went public, marking Tom’s second public company. Today, this small town boxcar kid resides in Nashville, TN where he has the opportunity to devote time, money, and efforts to countless charities and causes. He is privileged to be one of America’s most extensive and recognized wine collectors where, like everything else that has captured his passion, he has excelled. He counts the world’s greatest winemakers, chefs, and wine critics among his closest friends. 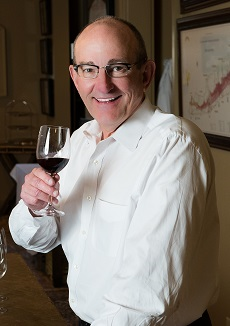 He has conducted some of the most comprehensive and famous wine tastings in America. His personal wine collection approaches 30,000 bottles, and he owns some of the rarest wines in the world. Now it’s his turn to pass it along, to share his training methods and proven business models with you. But you can’t just dream big – you’ve got to think big, and then plan big, just as Tom did. We are all capable of finding our turning point – it’s not some mythical destination. You can achieve genuine sales success, find your turning point, and sell more than you ever thought was possible! Click here to book Tom today to speak at your next event.